If you’re starting to get into playing casino games online, you’ve probably already realised that roulette is simply one of the most addictive and exciting games you can play. Roulette has been popular ever since it was invented in 18th century France, and even online it is one of the most played games. But why is roulette so exciting? This article aims to describe some of the reasons that this deceptively simple game still feels so exciting to play. 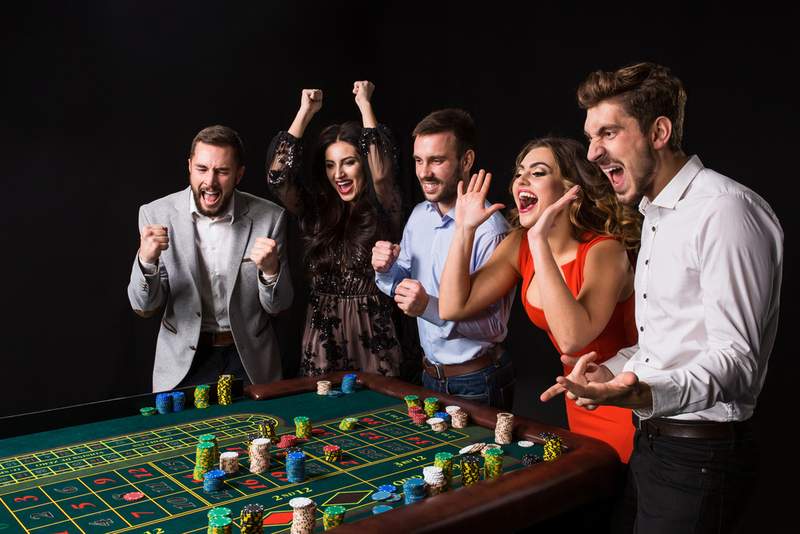 Live dealer roulette is perhaps the perfect game for beginners, which is a big part of what makes it so addictive: people start playing when they’re new to casinos, and find themselves unable to stop. The reason it’s so great for beginners is that unlike other games, roulette is based more on luck than on strategy, and someone playing for the first time is as likely to win as someone who’s been playing for years. There are also no opponents in roulette, which means that other players are more likely to be friendly and tell you all their best roulette tips – which may or may not have a basis in reality! Another thing that makes roulette great for beginners is that there’s less snobbery around strategies than there is in other games, so when playing roulette online you’re less likely to come across people complaining that you don’t know strategy, or that you ruined their strategy. This friendly feel not only attracts new players but keeps old ones coming back. Roulette is, in general, a very sociable game that is well-suited to playing with friends, as it doesn’t force you to compete against them. Despite the above, if roulette was just a very simple game without much thought involved, more experienced players would get bored and stop playing. Of course, there are lots of different strategies that experienced players can choose to learn, some of them very famous like the D’Alembert and Oscar’s Grind strategies. These strategies are based on figuring out the best way to walk away with a profit at the end, and taking advantage of them certainly keeps people interested in the game. Players can also choose from lots of different variants of roulette in online casinos, from European Roulette to French Roulette to American Roulette. Trying all the different kinds and choosing a favourite gives the game limitless replay value. As well as several different strategies and variants for players to enjoy, there are also lots of betting options to choose from. Beginners might just stick to the more obvious options, but if you look further into it, the options encompass everything from single numbers to streets to dozens and columns. Learning all of the options and what they mean will provide hours of fun and countless reasons to come back to the game, as well as making the game suitable for all kinds of players, whether they prefer to risk big money or play more conservatively. Despite the obvious logical attractions of the game for both beginners and experienced players, a huge part of what makes roulette so popular is that it’s an incredibly exciting and fun game. Playing roulette online is a very faced-paced game, and it doesn’t take long before you know if you’ve won! Compare this to a poker tournament, where you might be waiting all day to see who wins. This actually makes the game more addictive and exciting, as the thrill of instant gratification makes people choose roulette over slower games. Roulette also has the reputation of being a classy game, enjoyed by such fictional heroes as James Bond. This is, of course, less of a factor in an online casino in the UK, but the roulette board still evokes class and history, drawing players to it. The spin and bounce of the ball are also much more visual than other casino games, creating a much higher sense of tension and excitement. There’s also the euphoria that comes with a win in roulette, which is heightened by the fact that it is completely random and just based on luck. That feeling alone is hugely exciting and will bring people back again and again. To conclude, there are many reasons why live dealer roulette is such an exciting and popular game. It is straightforward, easy to pick up, fast-paced and gives a feeling of euphoria, but also has enough depth and strategy to keep people coming back to it. If you want to find out more about roulette and the strategies mentioned above, feel free to search the site archives for more information.